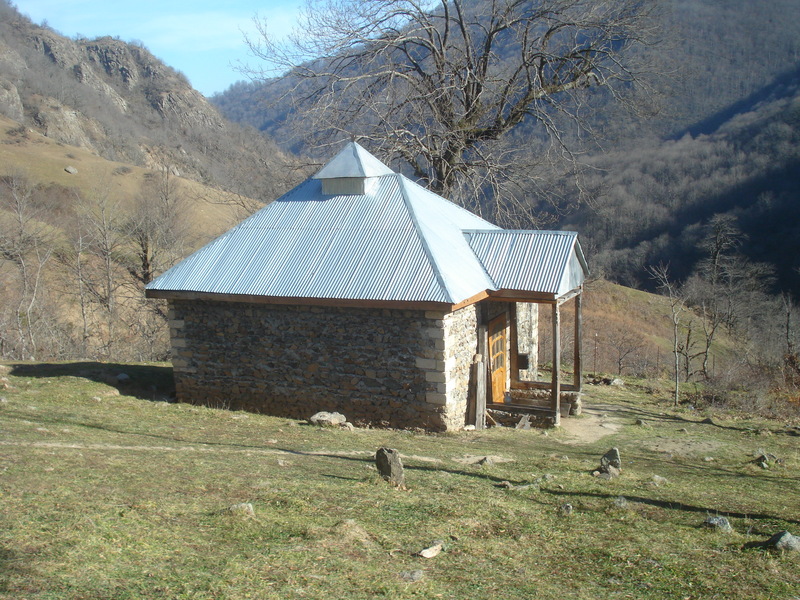 How Do Shrines Fit Into the Practice of Islam in Azerbaijan? In Bash Shabalid, a mountain village bordering the Russian region of Dagestan, stories abound about the locally revered Sheikh Ehmed, his grandson, Mullah Mustafa, and the shrine devoted to them. Legend has it that Mustafa organized a rebellion of 30,000 people in the 1930s and subsequently eluded exile and execution. I find it interesting that similar Islamic shrines are found in Cyprus, where my father was born. They exist in both the North [occupied by Turkish troops] and Greek South of the island. Many are so old, that their histories are forgotten and though Greeks do not pray at the sites, they are respected as sites remembering Holy Men.